Regarding #1: Silent Spring’s first chapter, “A Fable for Tomorrow” describes various hazardous incidents that turn out to have been linked to chemical pesticides in wide use up to that time (1945-1962) — without associating a specific chemical pesticide with any particular hazard. The victims of these untoward effects were people, pets, wildlife and plants. Detailed descriptions of such incidents that identify the individual chemical pesticides associated with these adverse events appear throughout Silent Spring’s remaining chapters. In examining Silent Spring’s text no specific association of DDT with causing “children to suddenly die” (per Dr. Offit) was found to be similar to the description of the unidentified pesticide effects appearing on page 2 in “A Fable for Tomorrow” — that we found to be linked with information for parathion in chapter 3. A check of the scientific literature did find a case from 1945 where a child’s death was associated with DDT and reported in Pesticides and Neurological Diseases: “A child of 1 year 7 months found and ingested about 1 ounce of a 5% DDT solution in kerosene…Within 10 minutes he vomited. Within a few hours he became comatose and had convulsions…In spite of treatment he died 4 hours after drinking the DDT solution. The relative roles of DDT and kerosene… were tested. Similar amounts of kerosene by itself and kerosene containing 5% DDT were fed to baboons. The one given the DDT solution lost the use of his hind limbs within 15 minutes, developed tremor of the muscles of the legs, tail and back, convulsed and died after 1 hour. The baboon given kerosene without DDT was unaffected and was alive and well three weeks later.” (Hill and Robinson in The British Medical Journal I, 845, 1945 – cited in Ecobichon & Joy, Pesticides and Neurological Diseases, 2nd edition, CRC Press, 1993). Regarding #2: The USEPA decision on DDT in 1972 banned uses of DDT [in the USA] on crops, allowing only quarantine and public health uses and manufacture for export.” (p. 234, Dunlap, T., DDT: Scientists, Citizens and Public Policy, 1981, Princeton U. Press). Note: There do not appear to be any US manufacturers of DDT at present. 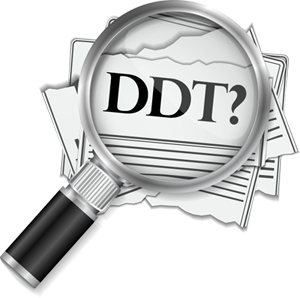 Regarding #3: Yes, DDT was reinstated by WHO in 2006, but that is not the current UN stance on the topic. In 2006 the World Health Organization (WHO) instituted a program to combat malaria supporting the use of bed nets, combination drug therapy including artemisinin and DDT spraying of interior walls in certain countries. 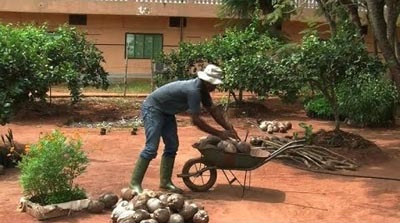 In 2009, however, the UNEP and WHO launched new projects to phase out malaria by the early 2020s through eliminating potential mosquito breeding sites, using mosquito-repellant trees, and fish that eat mosquito larvae. A stated objective of these projects was to reduce the use of DDT by 30% in 2014 and phase it out by the early 2020s. The projects would involve 40 countries in Africa, the Eastern Mediterranean and Central Asia. (“Reporter’s Notebook,” Pesticide & Toxic Chemical News, May 11, 2009). Do the data explain scientific information and provide references? Are recent reports represented or are references only to earlier reports? Although no specific reference was given in the P.I. article for any statement attributed to Dr. Offit, he could have been referring to information in the “Fable” (Chapter 1, Silent Spring, page 2) that reported children being “stricken suddenly…and dying within a few hours” due to an unidentified pesticide. If so Dr. Offit incorrectly associated the children’s deaths with DDT. 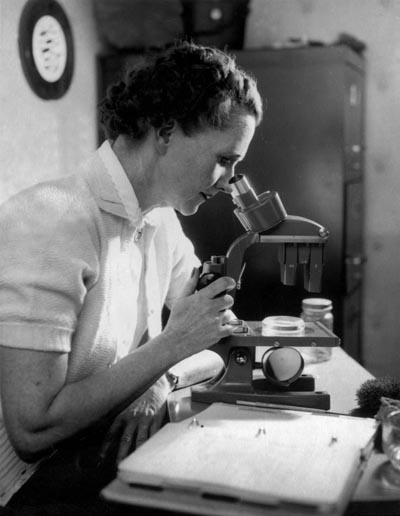 A thorough reading of Silent Spring including chapter 3, “Elixirs of Death” would reveal that Carson gave detailed reports on over 20 other chemical pesticides as well as DDT and as we explain above deaths of children within a few hours of being stricken were linked to the insecticide parathion exposure. How carefully did the Doctor read Silent Spring? Perhaps, on the other hand he was given incorrect information on DDT and Silent Spring from a secondary source. After attributing this unreferenced incorrect assumption about children’s deaths and DDT to Rachel Carson, Dr. Offit then criticized her for the association — which she had not made. A reader of The Philadelphia Inquirer not familiar with Silent Spring (and without the benefit of access to this report) might be convinced by misinformation in unreferenced statements appearing in “Five Questions: From lobotomies to margarine, what scientists got wrong,” that DDT has been unfairly disparaged. In fact the scientific literature contains a number of adverse human health effects listed and referenced above that are associated with DDT (not even including DDT’s hazards to wildlife) indicating that many severe problems are linked to DDT. Furthermore, DDT a long-lived chlorinated hydrocarbon chemical can persist for decades in the environment and is still detected in the bodies of many people and animals although it was banned for most U.S. applications 45 years ago. Newer strategies have been developed for mosquito control and also as the WHO has proposed, DDT may very well be retired sometime in the 2020s as a tool in the worldwide effort to eliminate malaria. Our RCLA report on Zika virus in Maryland will appear soon and will include a discussion of non-chemical methods to control its spread by mosquitoes.